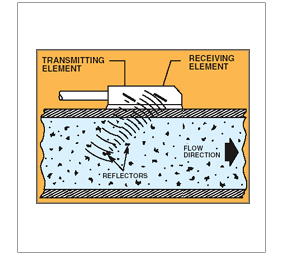 An ultrasonic flow meter (non-intrusive Doppler flow meters) is a volumetric flow meter which requires particulates or bubbles in the flow. Ultrasonic meters are ideal for wastewater applications or any dirty liquid which is conductive or water based. Doppler flow meters will generally not work with distilled water or drinking water. Aerations would be required in the clean liquid applications. Ultrasonic flow sensor are also ideal for applications where low pressure drop, chemical compatibility, and low maintenance are required. What is the minimum and maximum flow rate for the sensor?